Traditional building methods and contemporary technologies: The cast on-site walls of the new school in Gando (Burkina Faso) are made of locally-sourced clay and aggregates, using just ten percent cement. 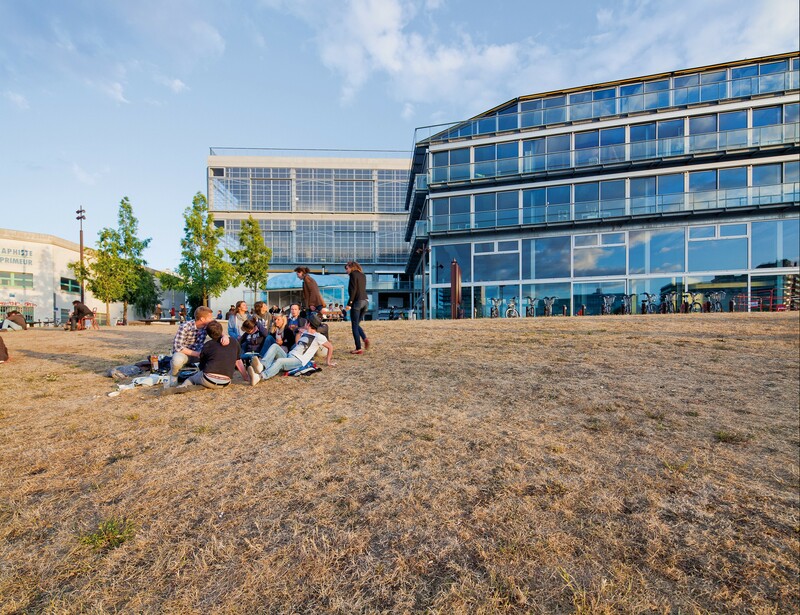 The Global Holcim Awards Gold winning project 2012 by Francis Kéré (Germany) includes natural ventilation, a passive geothermal solar cooling system, and was completed in 2014 by members of the local community. 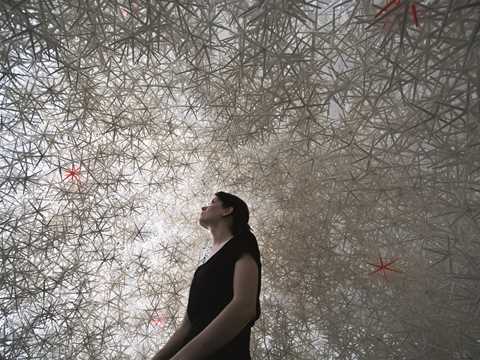 Innovative concepts regarding design, integration of materials and methods, structure, enclosure and mechanical systems. Outstanding contributions to construction technologies and building processes, operation and maintenance. Advancements in the disciplines of architecture, urban and landscape design, civil, urban and environmental engineering, and other fields involved in the production of the built environment. Long-term monitoring methods to evaluate whether expectations and goals have been met. Dissemination of knowledge, including project documentation, communication, education and training. 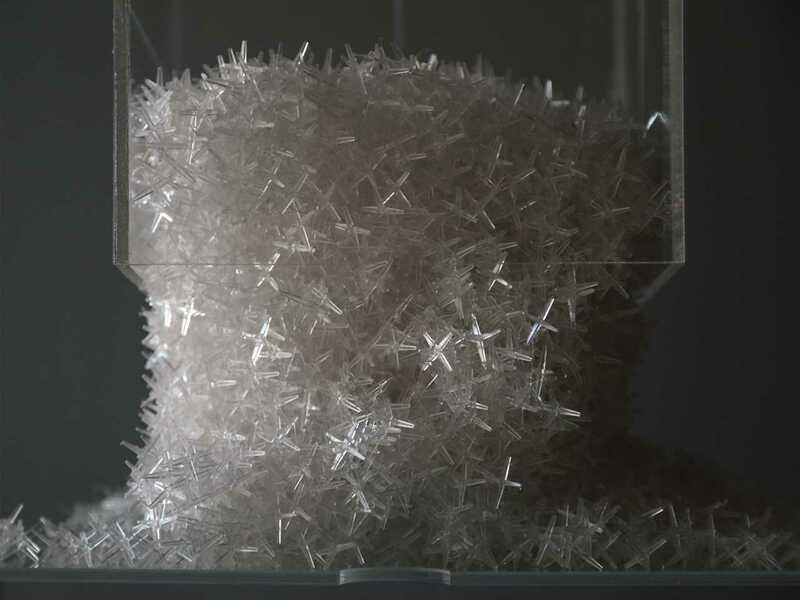 Aggregate architecture made from designed, self-solidifying granulates is an innovation in terms of approaches regarding construction technology and processes. The methodology is very simple and thus transferable: no expert training is needed. 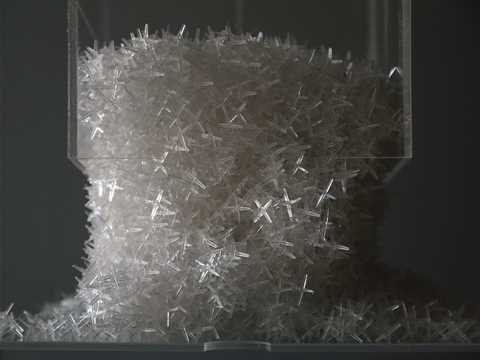 Both the design of granulates and the pouring itself can be replicated using both manual and digital aggregation methods. This project explores new frontiers in terms of fabrication and materials technology. Project entry 2011 - Zero net energy school building, Los Angeles, USA: Exterior rendering with perforated solar skin with apertures of various size to control daylight and view, and wall panels with applied graphics. "Zero net energy school building", Los Angeles, USA: The current research for Swift Lee Office involves exploring parametric site adaptation strategies to obtain energy and cost performance feedback using Beagle. 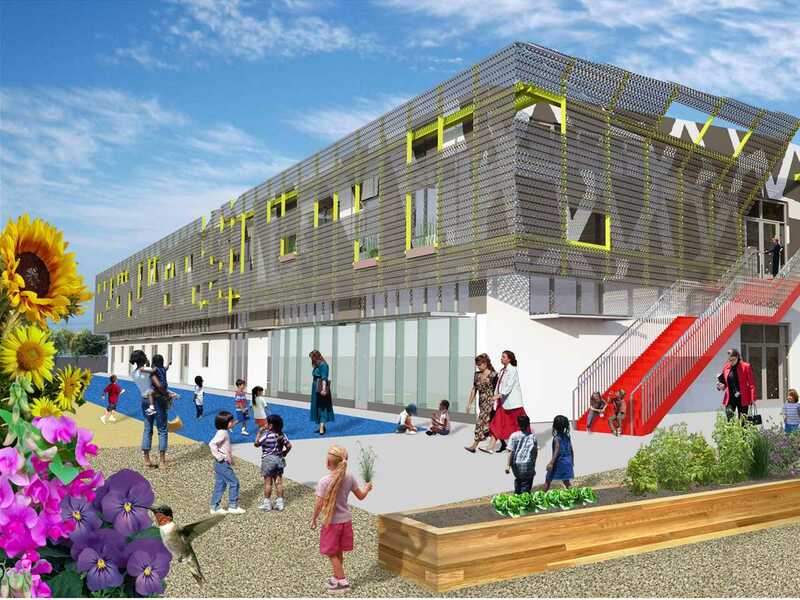 "Zero net energy school building", Los Angeles, USA: As pioneering Italian teacher and psychologist Loris Malaguzzi advocated, we believe in the power of environment as the Third Teacher. 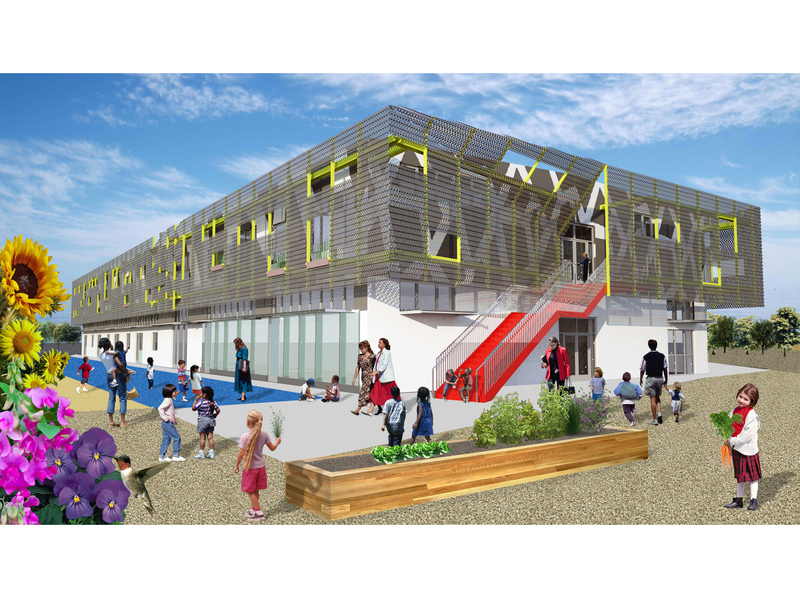 The public school project is designed as a prototype to be built on multiple campuses throughout Los Angeles. 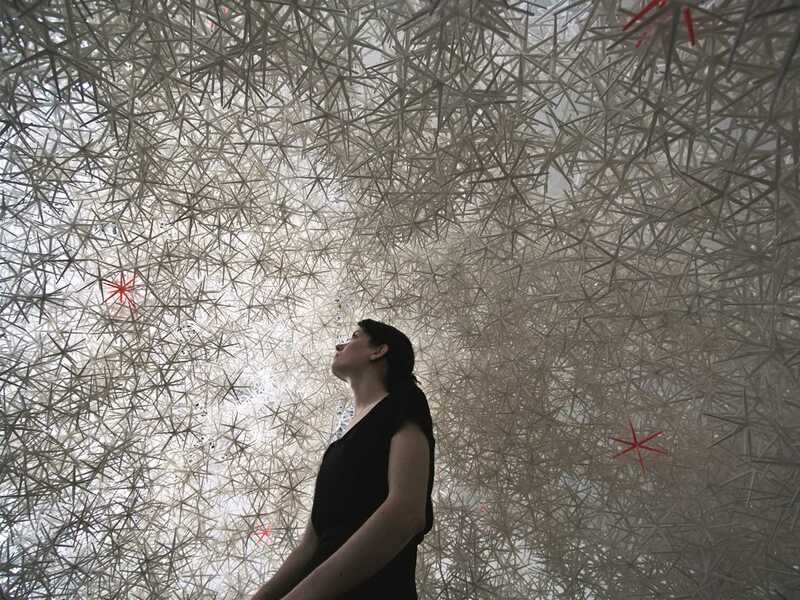 Its aim is an economical, flexible and yet, in its spatial concept, ambitious design that can be adjusted to different pedagogical models and learning styles. 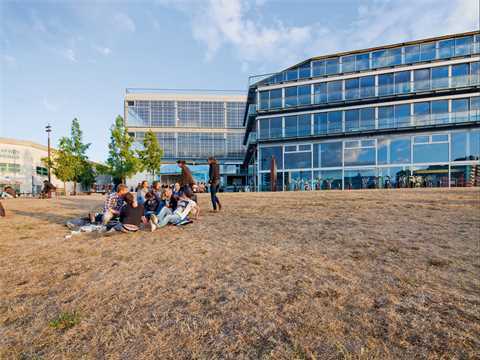 The 2-level building can accommodate up to 500 students, may be reconfigured for other communal functions, and its sustainability concept intends to reach a zero net energy building standard & achieve LEED Platinum rating. 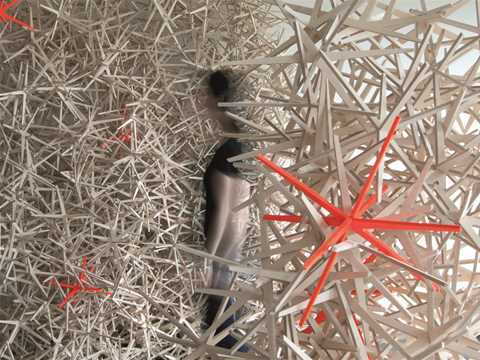 The prototype is a highly flexible design comprising two independent structural systems: a pre-engineered metal building shell, and a reconfigurable interior mezzanine. 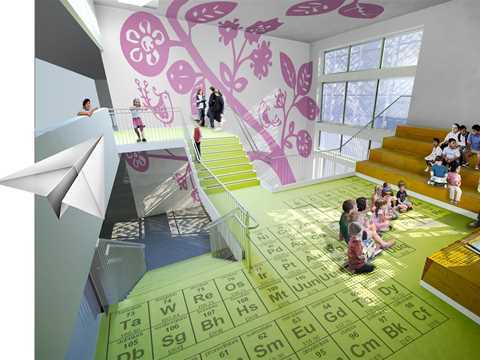 As such it accommodates a variety of uses, spatial configurations, and site conditions. The long-span steel structure is free of interior columns to allow maximum flexibility for interior space planning. Exterior cladding is non-structural allowing a variety of façade treatments and the use of moment and braced steel frames allow walls, doors, and windows to be placed free of structural constraints. 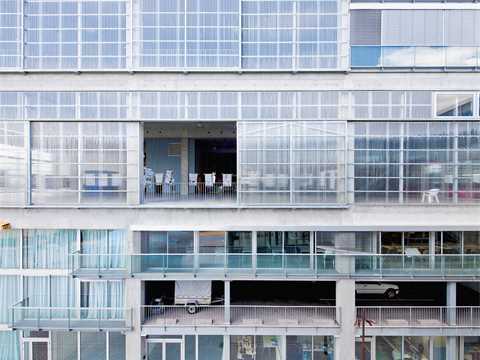 The size of the building can easily be adjusted by expanding or contracting the number of structural bays. The Zero net energy school building (NZE Prototype) employs a construction process more akin to the industrialized production of manufactured goods. All major building components are pre-fabricated off site, which expedites construction, reduces waste, and minimizes traffic. Steel was chosen as the primary building material because of its high recycled content and potential for future recycling. The project employs an innovative mixed-mode climate system that combines natural ventilation with efficient low-energy mechanical heating and cooling. Both systems use the principals of displacement ventilation and thermal buoyancy, delivering air only to the occupied zone of the space, allowing warm air and contaminants to naturally rise and stratify at the top of the tall-ceilinged spaces and escape through ventilation chimneys to rooftop exhausts. In either case the prototype is supplied with 100% outside air with no recirculation. The displacement with induction active chilled beam system is significantly more energy efficient than a comparable forced air system, with lower maintenance and much greater longevity. It is also more flexible and adaptable, acoustically superior, and provides much healthier indoor environmental quality. 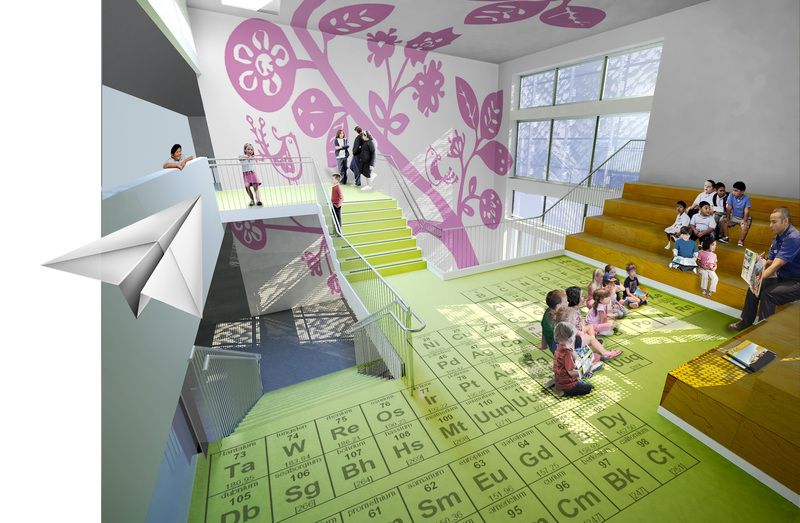 The NZE Prototype utilizes innovative light and ventilation chimneys to bring daylight into the interior spaces and to drive natural ventilation. Ventilation is driven by thermal buoyancy: as warm air rises naturally through the chimneys it pulls cooler air in from the exterior windows. The chimneys also serve dual purpose as an exhaust system for the displacement induction active chilled beams during heating and cooling modes. The chimneys are designed as a pre-manufactured system. 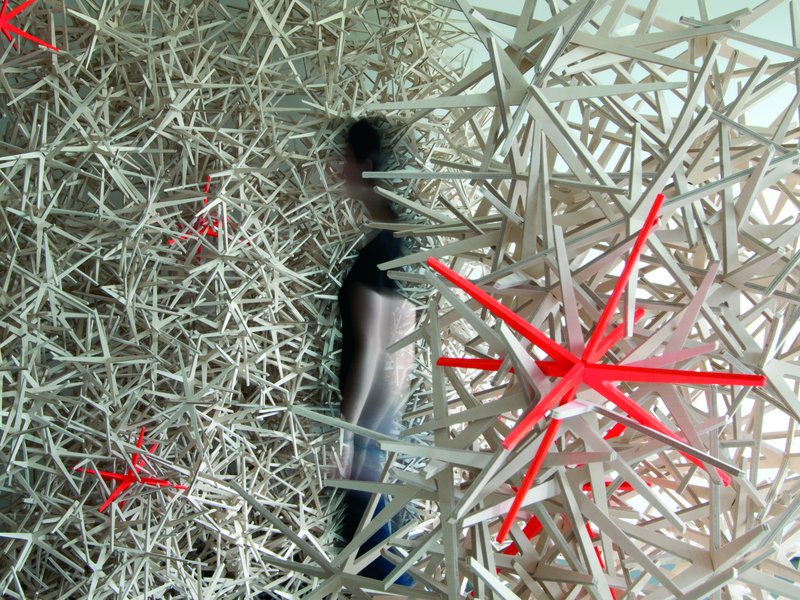 They are composed of stacking modules which allow them to adjust to varying heights. The modules incorporate a rooftop parabolic skylight, spectrally reflective lining, motorized louvers, parabolic reflectors, light-directing glass, and airflow and daylight dampers. The NZE Prototype is designed for longevity, durability, and low-maintenance. Building systems are exposed for easy maintenance, repair and replacement. Materials are durable and multi-purpose to eliminate the need for secondary finishes. 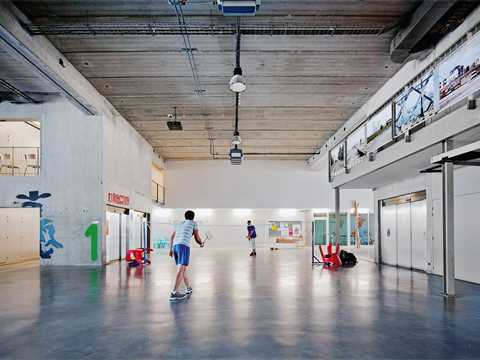 For example polished concrete provides a durable and low-maintenance floor finish, while also comprising the structural slab, and exhibits good fire-resistive, acoustical, and thermal mass properties. The perforated acoustical metal deck is another example of a structural element which also noise reduction properties that eliminates the need for an acoustical ceiling finish. Nantes School of Architecture view of the west façade from Place des Érables. 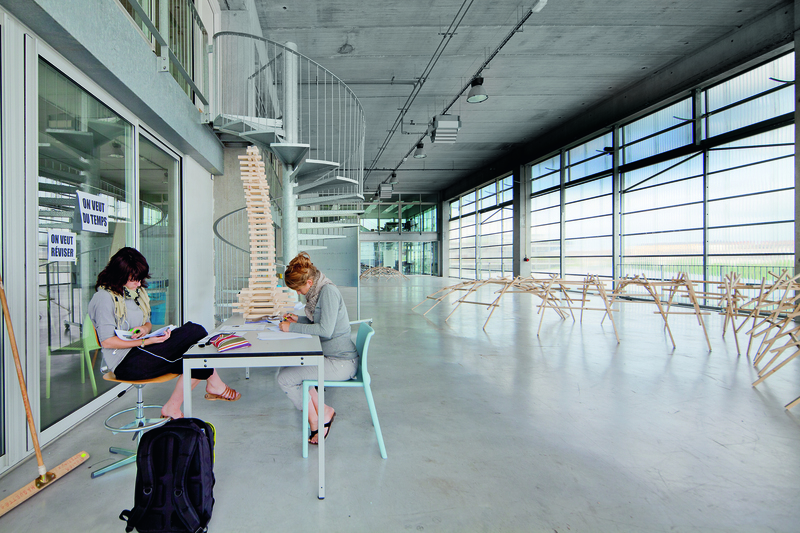 The school’s perceptual periphery is blurred by the polycarbonate façade suggesting that the school is not restricted to the site it stands on, but includes the spaces and views surrounding it. Generosity of space is a fundamental design principle espoused by the architects, providing its users with comfortable, adaptable, and multi-functional spaces. 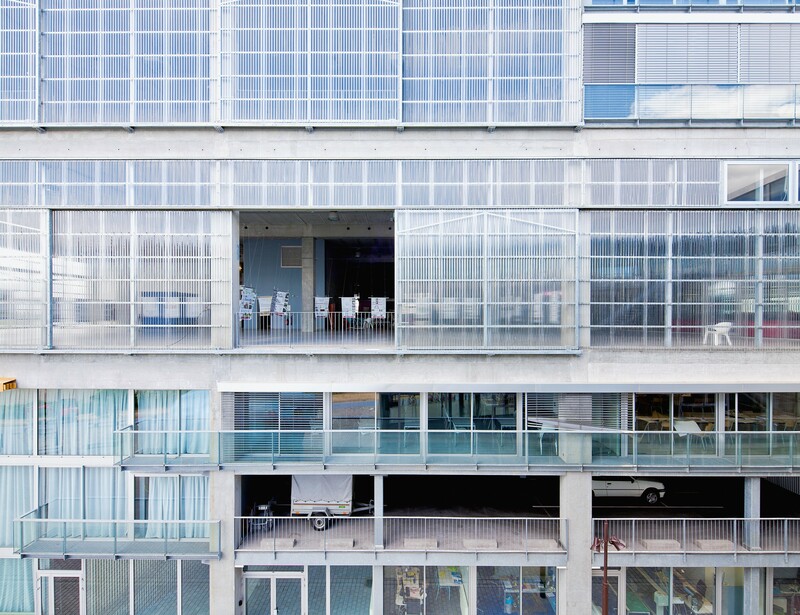 The façade’s polycarbonate panels capture solar heat gain and minimize heat loss between the interior, programmed spaces and the exterior. The holistic approach of Lacaton & Vassal Architects to the social, economic, and environmental performance of the Nantes School of Architecture culminates in the production of extra space at no additional cost. 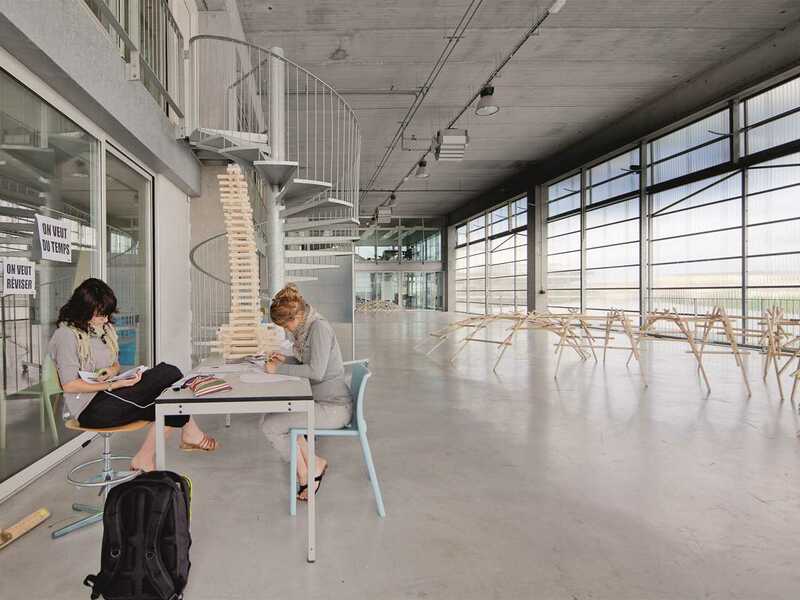 The Nantes School of Architecture represents a fundamentally different way of conceptualizing low-cost architecture, in which a minimal budget translates into maximum space. By optimizing construction processes, the architects more than doubled the project’s usable surface area, from 12,500 to 26,000 square meters. 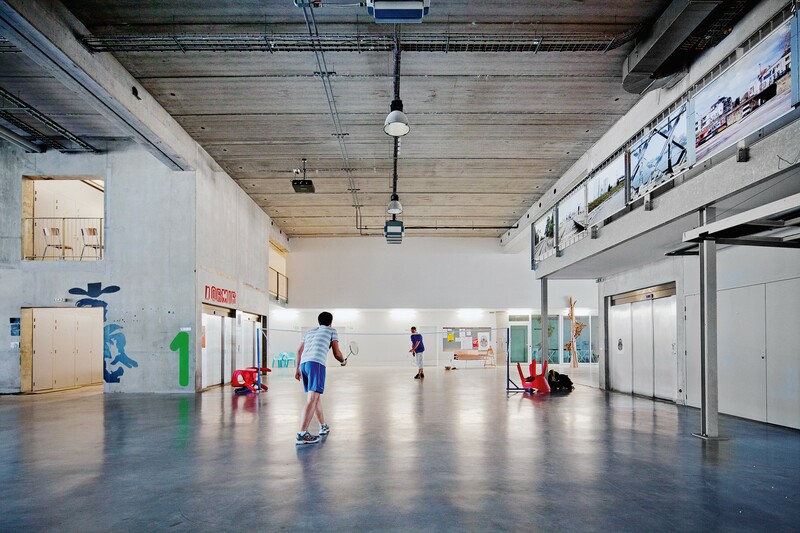 The embedded potential of these additional, non-programmed spaces engenders new dynamics both within the school and between the school and its immediate context. 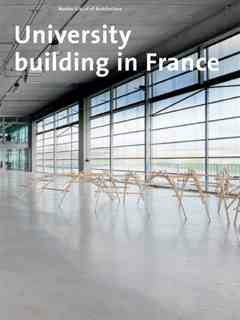 The Nantes School of Architecture is the first program to be installed in the space – but the scheme’s anticipation of change suggests that what is now a university campus could easily adapt to an altogether different use. 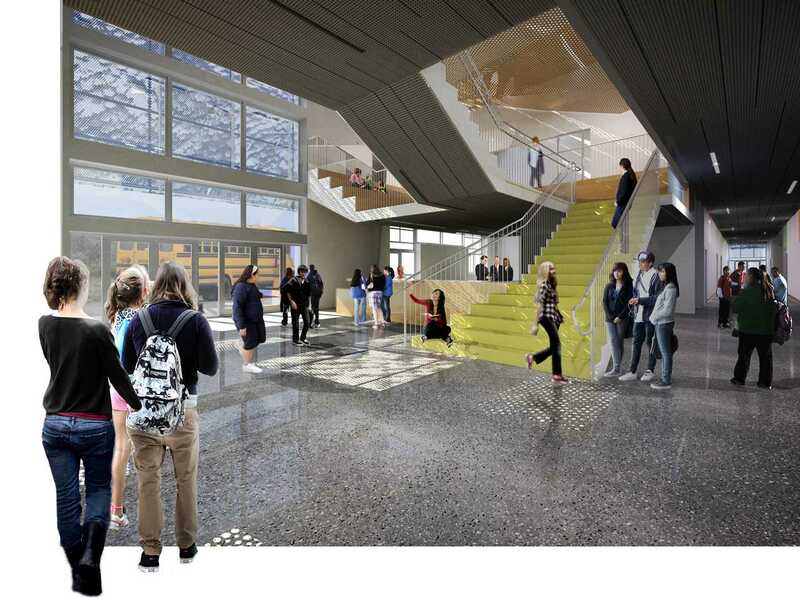 As an architectural school, the building will make a long-lasting and influential impression on future generations of architects who will go on to broadcast its sustainable values both nationally and internationally.